Use the undergrad labs: The labs on the lower level of the Allen Center and 1st floor of the Gates Center are a great place to work in groups or individually. If you're new to the department, other students can tell you which labs are more social and which offer a quieter workspace. Go to Office Hours: Office hours can be useful even if you don't have urgent questions. Stop by to check your understanding of tricky concepts. If you find a course particularly challenging, talk with your instructors before you fall behind. Go to advising: Check in with Crystal, Raven, Jenifer, Maggie, Chloe, Leslie, Kim or the peer advisers to plan ahead, ask questions, or let us know how your quarter is going. 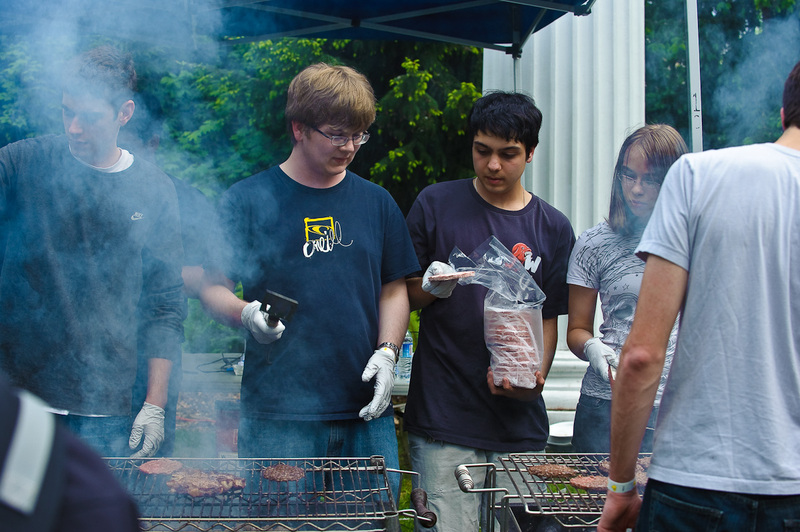 Attend school-sponsored events: The Allen School offers many events to help you socialize, plan for a career, and explore the field. Watch the CSE undergrad news blog and calendar for upcoming events. Most of these talks are open to everyone and feature a wide range of topics and speakers. Come hear about new developments in your favorite CSE research areas and listen to presentations by leaders in industry. No need to RSVP. The Allen School offers a variety of exciting, and sometimes challenging, opportunities for undergraduate students to enhance their educational experience. We encourage you to explore the options available to enrich your time as an Allen School student. The Allen School's capstone courses are senior-level project courses that invite students to work in interdisciplinary teams to solve a substantial problem with knowledge gained from many areas in computer science and engineering. Students define the problem, design a solution, develop a prototype, and present their work. Computer Engineering majors are required to complete a capstone course in order to graduate; Computer Science majors are encouraged, but not mandated, to pursue a capstone course as a way to demonstrate what they have learned and tackle interesting problems in a setting that emulates what they will encounter in graduate school or industry employment. Becoming a teaching assistant (TA) is a rewarding way to share the knowledge you have gained with your fellow students while providing essential support for Allen School courses. Duties vary depending on the course and the instructor, but they may include conducting quiz section meetings, hosting exam review sessions, preparing course materials and assignments, and holding regular office hours for tutoring students. The Allen School encourages undergraduate majors to engage in research alongside faculty and graduate students to experience the excitement and the challenge of scientific discovery while receiving credit towards their degree. The Allen School offers direct exchanges with four partner universities: KTH Royal Institute of Technology in Stockholm, Sweden; ETH Zurich and École Polytechnique Fédérale de Lausanne (EPFL) in Switzerland; and Saarland University in Saarbrücken, Germany. These exchanges enable you to experience studying abroad while fulfilling CSE degree requirements. In addition, UW has hundreds of other options for studying abroad if you are interested in pursuing electives or general education requirements in another country. All Allen School students are encouraged to pursue internships as a way to explore careers and gain valuable experience putting what they learn in the classroom into practice. There are a variety of resources available to help you connect with companies seeking interns, and CSE 301 offers the opportunity to earn credit for completing an internship. The Association for Computing Machinery (ACM) is an international society devoted to the advancement of scientific and educational computing. The UW student chapter, hosted by the CSE department, brings the motivation and spirit of this organization to campus and provides an atmosphere that encourages academic growth, departmental socializing, and open lines of communication between students and faculty. 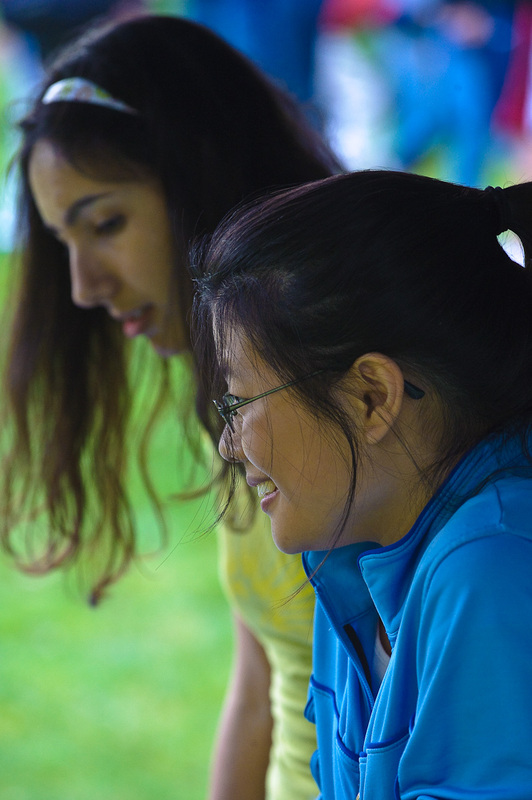 The Association for Computing Machinery for Women (ACM-W) supports the recruitment and retention of women in computing fields and showcases women leaders in computing. The CSE student chapter of ACM-W pursues multiple missions: to educate women about the field of computing, to engage women in exciting activities, to connect students with industry leaders, to promote the field of computing to younger students, and to support the activities of the ACM. Membership is open to all students — male and female — who support the goals of the organization. The Student Advisory Council serves as a collective voice of undergrad and masters' students in the Allen School. The Council aims to address key issues in the Allen School including but not limited to: student wellness, diversity, curriculum development, and opportunities to engage in social good. Open to all students, MSEP is a College of Engineering program supporting more than 400 African American, Hispanic, and Native American undergraduate and graduate students pursuing degrees in engineering and science. MSEP promotes high academic standards and leadership among participants. The organizaiton also hosts three Engineering student societies: the American Indian Science and Engineering Society, the National Society of Black Engineers, and the Society of Hispanic Professional Engineers. WiSE is a university-level program housed in the Center for Workforce Development. WiSE focuses on recruiting and retaining women of all ethnic backgrounds and creating an academic and social climate that is conducive to the success of both men and women undergraduate and graduate students. The annual WiSE conference brings together professionals and students of all levels for social, academic, and professional development. CSE department sponsors the registration fee for CSE majors to attend the conference. The Carlson Leadership & Public Service Center engages undergraduates in understanding, building, and improving our communities. The Center offers programs that combine academic coursework with community-based learning and leadership. Opportunities for learning outside the classroom can deepen your understanding of complex philosophical, economic, and political issues and help you develop a sense of civic responsibility at the UW and beyond. The College of Engineering offers many more ways to get involved with the engineering community at UW. Joining a student group is a great way to connect with other students and learn more about other departments in the college of engineering. Whether you want to work hands on with an engineering design project or you just want to meet other students, it all starts with attending a meeting or contacting one of the officers or the faculty sponsor.